Cation of Automation Technology in Coal Mine Electromechanical Equipment Wang Yu;China Coal Science and Industry Group Chongqing Institute Co.
Exploration on Non-military Industrial and State-owned Background Research Institute Taken into Civil-Military Integration Jiao Yue;Chen Feng;Kou Liangang;Yuan Shufeng;Qu Xueyong;Huang Weiyong;China National Heavy Machinery Research Institute Co.
Study on the Application Value of Computer Technology in Metal Mine Automation Control Chen Chen;China Coal Science and Technology Group Chongqing Research Institute Co.
On the Transformation of Scientific and Technological Achievements Liu Yuming;Sun Yanru;Shanxi Fenxi heavy Industry Co.
Research on the Train of Thought and Concrete Measure of Automatic Inspection and Transformation of Shearer Ran Shuangyong;China Coal Science and Technology Group Chongqing Research Institute Co. 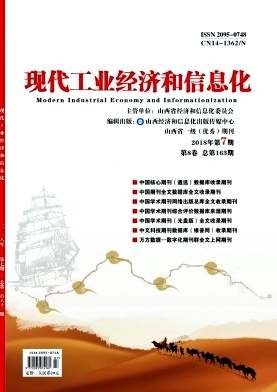 Discussion on Information Security of Industrial Control System Chang Xupeng;Taiyuan Heavy Rail Transit Equipment Co. Application of Electric Automation Control in Mine Production Zhou Zhongqiang;China Coal Science and Technology Group Chongqing Research Institute Co. Application of Mechatronics Technology to Coal Flow Start-up of Main Coal Belt Yu Xi;Yuxin Energy Co. Necessity and Method of Strengthening Software Quality Management Yang Xiao;CETC Special Mission Aircraft System Engineering Co.
Research and Analysis of Traditional Maintenance Mode and Condition Based Maintenance Mode in Substation Maintenance Jin Fengkui;Qinghai Damei Coal Industry Co.
New Principle Analysis of GIS fault Precise Identification and Automatic Recovery Power Supply Busbar Protection Yong Haisheng;The Yellow River Xinye Co.
Research on the Influence of Distributed Generation Interconnection on Distribution Network Li Axiang;Qinghai Green Power Generation Group Co. Application of DCS in Boiler Automation Hou Hui;Liu Yuhang;Inner Mongolia Zhongmei Mengda New Energy Chemical Co.
Life Cycle Cost Management of Distribution Network Engineering Yu Jing;Lin Shiyuan;Zou Lifang;Ye Minquan;State Grid Fujian Economic Research Institute of Electric Power Co. Influence of Gearbox Lubricating Oil on Bearing Alarm Failure of Traction Motor Wang Yongming;Electric Locomotive Workshop of Taiyuan Locomotive and Rolling Stock Co. Application of Green Manufacturing Technology in Machining Li Yousheng;Tongling Sanyuan Special Casting Co. Rational Selection of Dry Cleaning Equipment for Aluminum Electrolysis Gao Wenhu;The Yellow River Xinye Co.
Effect of Different Flotation Agent Conditions on Humic Acid Extraction from Weathered Coal Zhang Hong'an;Yu Bo;Dongtan Coal Mine of Yanzhou Coal Industry Co.
Feasibility Trial Production of an Explosion-proof Rubber Wheel Trackless Mine Car Liu Shifen;Taiyuan Locomotive and Rolling Stock Co.